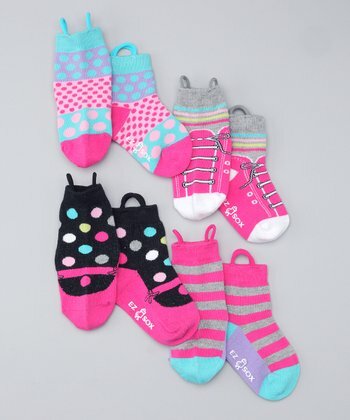 Special Savings Special Needs: EZ Sox back at Zulily! EZ Sox was born out of a mother's goal to help her son put on his own socks. 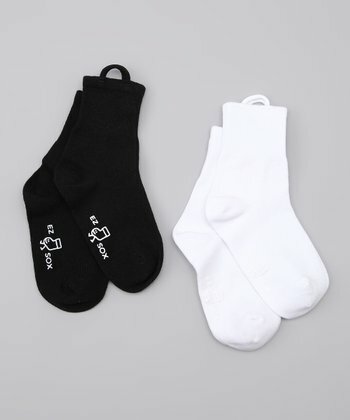 With kid-pleasing graphics and handy side loops, the brand's socks now help load of kids get dressed without assistance from their parents, all empowered by a magical "aha! I can do it!" moment. For little ones learning self-sufficiency, EZ Sox is the perfect fit.